R.M. 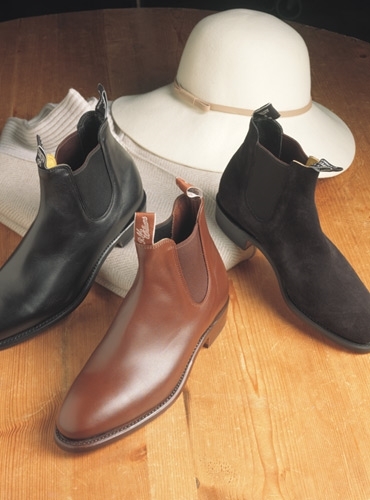 Williams ladies’ boots, made with the same structure as gents’ boots, but with a feminine toe shape. 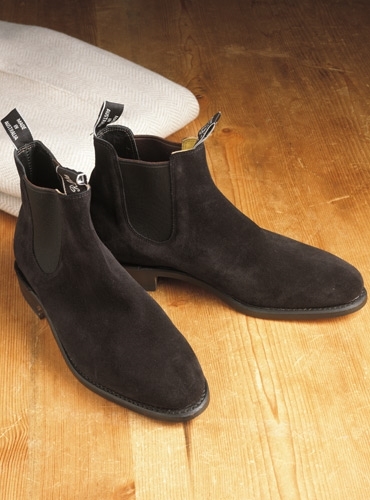 Crafted from one piece of leather (yearling leather or suede). Features include: lower height profile which gives an elegant line to the ankle, a tapered heel with rubber grip piece, welted leather sole to allow for flexibility of movement, rolled elastic edge trim with exquisite stitching around the elastic, full Poron-padded inner sock lining adds extra comfort underfoot, signature R.M. 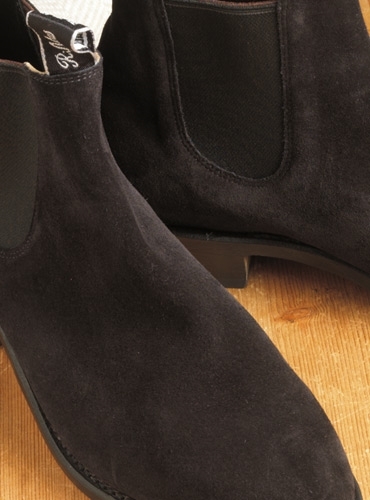 Williams tugs that have been resized and specifically designed for ladies boots. Available in sizes 6–10, whole and half sizes. Featured in black suede. Also available: A-black yearling leather; C-black suede.